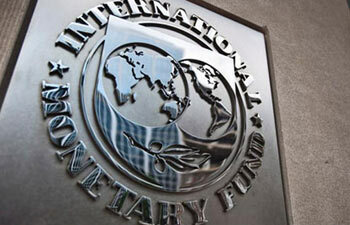 The International Monetary Fund (IMF) has asked Pakistan to begin taking necessary actions to stabilise the economy and lay the groundwork for future growth. "Pakistan faces difficult economic challenges and we urge the authorities to begin taking the necessary actions to stabilise the economy and lay the groundwork for future growth," IMF Mission Chief Jeffrey Franks said on Wednesday. However, in response to media reports, the IMF said it has not received a formal request for a programme from the Pakistani authorities. A high-level Pakistan delegation led by Advisor on Finance Shahid Amjad Chaudhry and State Bank of Pakistan Governor Yaseen Anwar held a series of talks with IMF officials in Washington on the sidelines of the recently concluded IMF-World Bank Spring Meetings. Franks described these meetings as fruitful. "We have not received a formal request for a programme from the authorities, Franks said. According to media reports, on return to Pakistan, Chaudhry said the IMF has offered about USD 5 billion extended fund facility at higher interest rate, short disbursement and longer repayment period to help Pakistan repay its debt and to support its balance of payments position.